PRANIC HEALING was brought into modern awareness by Grand Master Choa Kok Sui of the Philipines. Pranic Healing is a highly developed and tested system of energy healing techniques that utilizes "prana" to balance, harmonize and transform the body's energy systems and chakras. "Prana" is a Sanskrit word that means "life-force". This invisible life force energy keeps the body alive and maintains a state of good health and wellbeing. 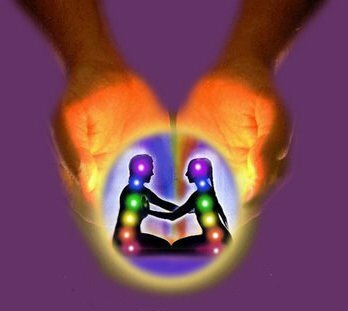 Pranic Healing is a simple yet powerful and effective no-touch energy healing. It is based on the fundamental principle that the body is a "self-repairing" living entity that possesses the innate ability to heal itself. PRANIC HEALING works on the principle that the healing process is accelerated by increasing the life force energy.As an art and science, PRANIC HEALING was widely practiced in ancient civilizations in China, Egypt and India. Using a "no-touch" methodology, PRANIC HEALING utilizes prana to initiate rapid biochemical changes to accelerate the body's innate ability to prevent, alleviate, and heal a whole spectrum of physical, emotional, and mental ailments. Practitioner and Teacher of the EMF Balancing Technique (R)in Spanish. I give the eight individual sessions of the technique and teach the four basic sessions to whoever wants to become a Certified Practitioner. I work and teach in Mexico City but I am available to travel wherever there is a group of people interested in receiving the sessions or the teachings in Spanish.Peggy Phoenix Dubro is the originator of the EMF Balancing Technique® . This profound yet simple energy balancing system is currently taught and practiced in more than 44 countries around the world, and described in her book, Elegant Empowerment. If you want more information in other languages go to the official website www.EMFWorldwide.com. My particular calling is Sacred Cellular Healing. I am a Master Healer Practitioner/Teacher in: Sacred Cellular Healing, Gendai Reiki, Usui Reiki, Seichm, Usui/Tibetan Reiki, Violet Flame Reiki, Kundalini Reiki, Terra Mai Reiki, Karuna-Ki Reiki. Also healer/practitioner in Esoteric Healing (Level 4), Aqua Chi Footbaths, Crystal Healing and Grid Work practice and classes, Meditation Classes and sessions, Healing and shamanic Drumming, Yogic Breathing, Energy Tapping, Muscle Testing, Public Speaking, Private Classes, Private Calls, demonstrations, Astrology, parties & entertainment. The Asheville School of Massage & Yoga is a rich and nurturing space for massage education. We offer a rigorous and comprehensive 675-hour, 6 month massage therapy certification program. Yoga is used throughout the program as an integral teaching aid. ASMY also offers nationally approved CE courses for massage therapists; community classes and workshops for those who want a less formal introduction to massage. Enriching education disguised as fun. Licensed and approved NLP, Hypnotherapy & Reiki courses held in Seattle, WA; San Juan Islands, WA; Sedona, AZ; Ft. Lauderdale, FL; San Diego, CA; London; Aruba and other resort locations throughout the world. Learn how to work with the subconscious mind to empower yourself and your clients to live life to the highest potential. Have the freedom and flexibility to open your own practice/center. Allow the combination of techniques to complement your current career or build a new one. Meet other like-minded individuals and learn the power of imagination, visualization and subconscious communication. We're waiting for you to imagine all you can at Bennett/Stellar University! 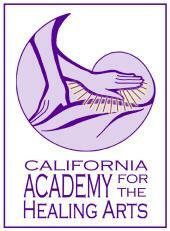 The California Academy for the Healing Arts is a State-Approved school offering cutting-edge and unique offering of courses; our intention is to provide excellent training in the holistic healing arts by offering energywork, bodywork, business and spiritual training in a synergistic curriculum. We offer courses in Reiki, emotional release work as part of energy healing, Shiatsu, sound healing, and we also train bodyworkers and energyworkers to teach courses in energywork and massage. We encourage our students not only to be excellent and successful practitioners, but also to be grounded, centered, and to develop spiritually. Our culture is one of unconditional love, honor and respect. The universe is living testimony to a mighty Presence of enormous Intelligence that permeates all it has created. In It we live and move and have our being. This theme has echoed down the ages, giving hope when all appeared lost. Sometimes corrupted, sometimes lost to sight, nevertheless this theme endures to this very day. Pulsating within each of us is a spark of this divine energy - this same energy that created the universe. Unlock your true potential by participating in the "Pathways to Self Mastery" dynamic channelled Meditation Program. 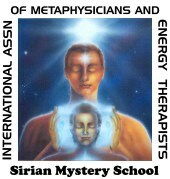 Pathways to Self Mastery, a division of the Sirian Mystery School is a required teaching of the Lost Wisdom. Channelled through by the Sirian Command to assist humanity's next evolutionary step, it culminates in the merging of the personality with Higher Self. Lyn, a Reiki and Seichim/SKHM Master Teacher has been channelling and instructing this profound meditation for approximately thirty years. Other modalities include Relaxation Therapy, Energy Therapy, Spiritual Surgery and Vibrational Kinesiology. Other esoteric studies include, Practical Merkabah, Esoteric Tarot and Practical Kabbalistic Pathworking. Due to the nature of the channels being activated between the personality and the Higher Self and beyond, all tuition at the present time is by private appointment only. Transform your life through the Shamanic Training/Medicine Wheel Program, and become a Certified Shamanic Practitioner, or through personal healing sessions. If the story of your unfolding life is not what you desire, you can transform it and give birth to the story of your choosing. You become the conscious weaver of your life, reclaiming your personal power and achieving personal transformation! In this program you will learn the wisdom and the healing techniques of the shaman, so that you can bring this powerful healing to others while transforming your own life and stepping fully into your highest destiny. You will learn to work at the many levels of the soul and the luminous energy field, to journey to the worlds of the past and the future, to guide souls who are preparing to transition, or who have transitioned, and to clear heavy energies from physical places. This program takes you through the four directions of the Medicine Wheel - shedding the old stories of the past, stepping beyond fear, mastering your power of creation, and dreaming your world into being. Each direction is a four day class where you will learn and practice the shamanic teachings and techniques for that direction. Each class is followed by a four month period where you deepen and anchor your shift and practice your skills. I support you with coaching sessions during the months between classes. You will receive certification upon completion of the program. Many graduates of this program have started their own shamanic healing practices. This is a profound and life-altering program that empowers you to master the creation of all that you desire. I offer a complementary consultation to help you determine if this program is a fit for you. More information about this program is also on my website, https://createyourdreams.com/shamanictraining/. In your personal session, the area where you are out of alignment with your desires is traced back to the original event that caused the unwanted pattern in your life. This unwanted pattern is cleared from your energy field and from your subconscious. Your will receive a Soul Retrieval, where this pattern is traced to its origin in your soul’s karmic history and cleared. Every event in our lives, especially the painful ones, carries a lesson for us. You will learn what this lesson is and embody it, allowing it to raise your energetic vibration. With the energetic imprint and limiting belief cleared, and the lesson gained, your world will shift to reflect the higher vibration you are holding. 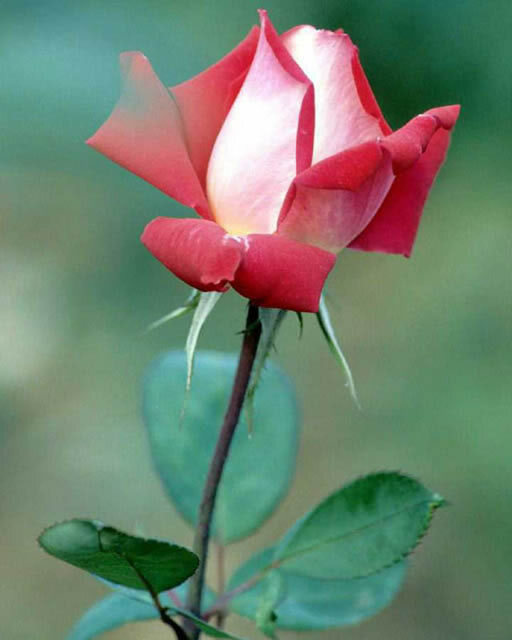 This will allow you to attract what you desire with ease. You may also wish to receive a Destiny Retrieval, which will reveal your highest destiny that your soul chose for this lifetime, as well as your gifts, your healed state, and what needs to be cleared so that you can live your highest destiny. DaEl Walker is Founder of the Crystal Awareness Institute, Teacher, and Crystalotherapy Master Healer. 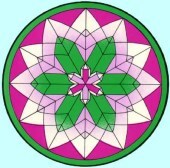 Our system uses crystals, the Wheel of Life medallion, prayer, touch, and color for accelerated healing. For example, pain relief within 10 minutes. We offer effective distant healing working only with photographs or other primary witnesses. We offer 12 levels of training for Professional Crystalotherapist. 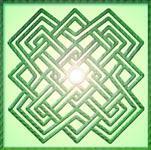 Also weeklong retreats in healing, Crystal Energy Grid Systems, and making ritual Magic Wands. For more information, email us. Our therapists are currently operating in the U.S., Mexico, New Zealand, Australia, Canada, Japan, Hong Kong, and Brazil. Healing classes are available. We offer Continuing Education Units for Registered Nurses under Provider #7311. 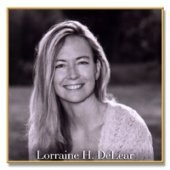 Dr. Lorraine DeLear offer private energy healing sessions, counseling and holistic healing services to clients in her private practice in Encinitas California. She also offers distance healing sessions via telephone for those who live outside the area or are unable to make into the office. 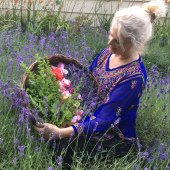 Lorraine's offerings include - deep emotional release work through hands on healing sessions that promote deep transformation from the core energy body. Call Lorraine at 760-271-4820 to book a session. She has flexible hours 7 days per week and also the evenings are available. 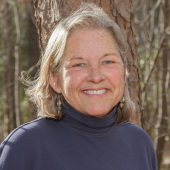 Dr. Lorraine DeLear is an Energy Medicine Practitioner, teacher and workshop leader. She is the Founder and Director of chaliceroot and the chaliceroot kitchen programs. She has a private practice in Encinitas California and offers private sessions energy healing sessions and other hands on healing techniques. She is the Co-founder of Collaborative Sync. Collaborative Sync offers a platform from which you can connect to your deep innate wisdom using the larger field of information/intelligence. 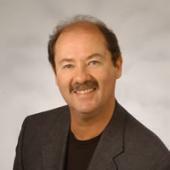 Dr. DeLear is also the Co-Founder of Luminous Body ~ Integral School of Energy Medicine. Luminous Body~ISEM offers two year programs to facilitate participants in the discovery and grounding of their true Self in daily life. 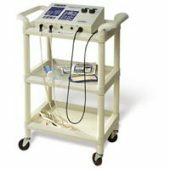 Please see www.luminousbody.org for more information. Currently Lorraine offers private energy healing & mentoring sessions, retreat intensives and workshops with Chalice Root, Collaborative Sync and Luminous Body School of Energy Medicine. She has a private practice in Encinitas California. She also leads workshops and travels and teaches internationally. In addition, Lorraine consults with the public and private sectors, utilizing Collaborative Sync, a universal communication tool. Certifying healers in the Warren Grossman Method of Energy Healing. Dr. Grossman trains people in an active, step by step process to access the Earth's energy and deliberately open their hearts. This results in physical, emotional and spiritual healing. Certification, including online listing, is granted to students who complete the six-month curriculum and demonstrate mastery of skills. New program begins April 2007. 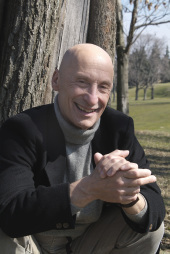 Dr. Grossman's book, To Be Healed By The Earth (2nd Edition, Seven Stories Press, 2007), teaches a unique approach to forging essential bonds with the natural world during an age when nature’s importance to human life is so often ignored. Those who wish to pursue their psychic abilities, read auras, learn psychic tools to unblock your intuition so you can find your own answers within, improve relationships, talk to deceased friends, and gain spiritual freedom can enter the Clairvoyant Training Program kindergarten. Here you learn techniques for reading an aura by running the soul essence or energy through the body and increasing the communication and wellness between the spirit and the body. Beginners are welcome! Energy worker, using Healing Touch, Energy Medicine,Shaminism, Medical Intuitive, Dimensional Interface, Spirit Mediation and guidance to transform energy to balance and align the energy system. The state of your energy affects the physical, emotional, mental and sprititual health. It offers assistance with stress, pain control, relaxation as well as enhancing focus and well being. Everyone can benefit from understanding their energetic self and emphasis is placed on using this understanding to enhance or change your life. Illness of all types can receive results. I facilitate your own healing, by enhancing your bodies ability to receive what it needs energetically to come to balance and harmony. Self awareness, self care and personal empowerment are areas of emphasis. Several locations available in the St. Louis City and County as well as Illinois and rural areas. Local clinics on a weekly basis & can be set up in your area. Training in Healing Touch, Energetic Healing, Energy Medicine and Hands and Heart Healing are available, with Nursing and Massage Therapists'CEU's as needed. All energetic work received fully clothed on a massage table in a peaceful sacred environment.